Lily Melrose - UK Style and Fashion Blog: brb. Okay, so its been forever since ive last posted, work, university and general life stuff got in the way. although now my lifes getting back on the right path, im definatly going to to my best at posting here more. Ive changed the layour of my blog too so all my older posts look really weird. Ill try and reformat them when i have time! Only a little update right now, along with a overdue update of some of my own work. I wrote about doing a book project for university, which I wanted to base around the idea of penguin books and hand drawn type, neither of those really came out in my final peices. 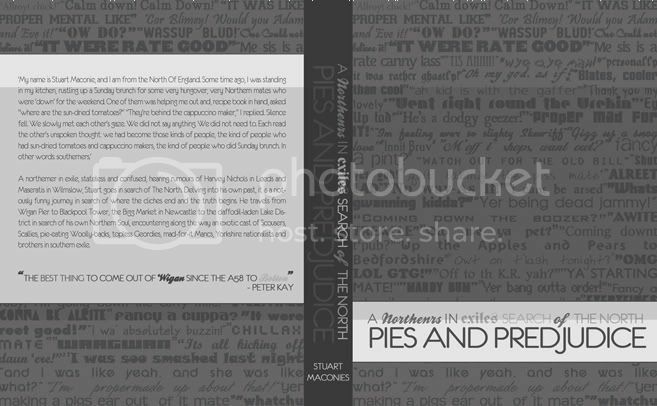 The breif asked me to create a set of covers for an edition of "Pies and Predjudice" by Stuart Maconies. I decided to push myself and leave my comfort zone of hand drawn type and experiment with font faces. The majorty of the fonts used are ones that came from free websites. It really opened my eyes up to the variety and diversity of font faces out there. 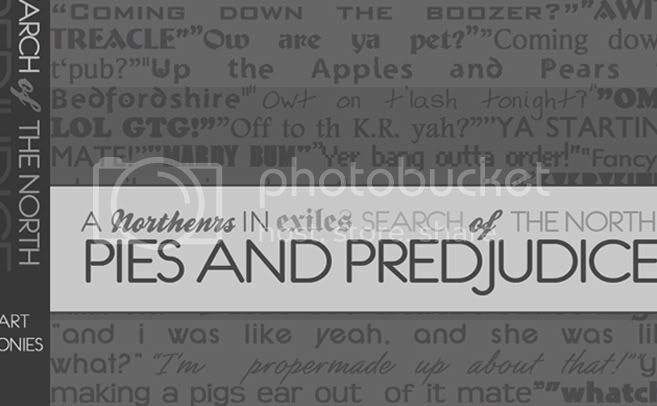 My main idea for the project was to look at accents, voice and the spoken word, i then found myself staring at a huge list of regional UK phases/slang expressions. In the UK the differences between the different regions is incredibly noticable. Although i presume this is apparent all over the world, its often overlooked. Especially with the majority of the world thinking that all English people are tea drinking, queen adoring aristocrats! If i was to get this published as an actual cover my vision was to have the words on the book embossed and in glossy paper. Although it wasnt possible to get this across the way i wanted, i think it would add a interesting texture to the overal final appearance of the book. On another note, im going to start putting more fashion and makeup stuff in my blog. I want my blog to have everything i enjoy in a blog in it. Graphics isnt my only passion, So outfits of the day/reviews/what im currently coverting and whatnot will be coming soon hopefully! I really need a new camera as well to make all of this possible. Ill have to get saving.... or just wait till my student loan comes in!